Book by book a comprehensive picture of reality is constructed and at its core is the model called the Gateway to the Heavens. Philosophy is written in this grand book – I mean the universe – which stands continually open to our gaze, but it cannot be understood unless one first learns to comprehend the language and interpret the characters in which it is written. It is written in the language of mathematics, and its characters are triangles, circles and other geometric figures, without which it is humanly impossible to understand a word of it; without these, one is wandering about in a dark labyrinth. The patterns underlying life have always fascinated me. As an artist and mathematician I enjoy analysing the structure and form of reality, the nature of consciousness and the Mind, the power of intent, the purpose and power of symbolism and sacred geometry in particular. My books are based on extensive research into a wide range of subjects covering the different cultures, the Sciences, Arts and belief systems as I endevour to blend logic, creativity and intuition in my work. 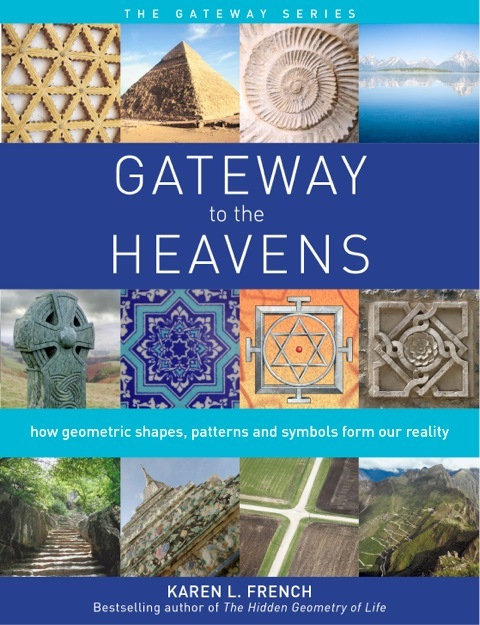 Blending the essence of Sciences, Arts and belief systems, The Gateway Series of books explores the dynamics of reality, consciousness and Mind using the sacred geometry of the Gateway to the Heavens model as the central theme. Every book is highly illustrated with numerous insightful quotes and examples cutting across disciplines and cultures. I hope my books inspire you to look at reality with fresh eyes and to delve further into the numerous subjects I touch upon for yourself. The first edition of Gateway to the Heavens was released in the UK in Jan 2008 and the USA in March 2010. Originally in black and white this very popular book is now available in colour (May 2014) from Watkins Publishing Ltd. SIGNED copies of both books can be ordered from this website SHOP. Otherwise they are available from a wide range of outlets. Both are available as e-books. A selection of e-suppliers is listed in the SHOP. Sources of translations are provided under each title below.